Responsible homeowners take the time to quickly check the function of their garage doors and see if their sensors are not working. This safety measure is important because it stops the door from closing on an item, a person, or even a pet. Steel City Garage Doors can troubleshoot, repair, and even replace malfunctioning sensors. 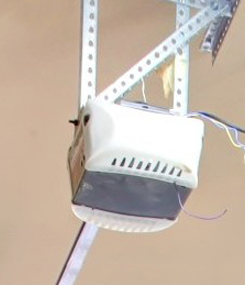 The garage door sensor was created to save people from injury or harm. We follow verified steps for garage sensor repair with fast, high-quality work that is available during any time of the day or night. Expect the best from our family owned and locally operated company that specializes in garage doors, including garage sensor repair in Pittsburgh, PA, and the surrounding areas. We always do our best to make sure you get high-quality service at a fair price. Throughout our nearly 25 years in business, we have worked with residential and commercial clients with all types of doors. Our garage sensor technicians have been trained on proper repair and replacement techniques, as new regulations are approved concerning garage door safety. Contact us today to schedule garage sensor repair with our experienced professionals! We are pleased to serve clients in Pittsburgh, Shadyside, and Murrysville, PA.